By trying to stamp down on videos parodying the Galaxy Note 7 disaster, Samsung is trying to argue with the facts of life in 2016. 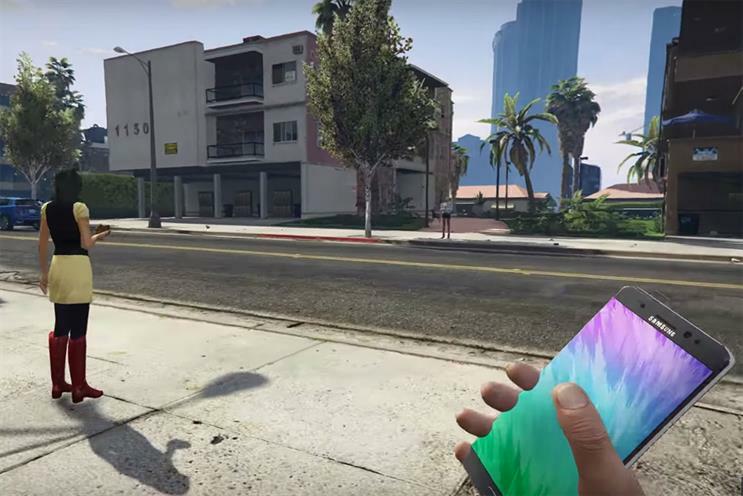 Samsung was recently a victim of that new wave of creativity, when modders altered best-selling computer game Grand Theft Auto V to allow players to use the infamously combustible Galaxy Note 7 as an auxiliary hand grenade. The brand’s failure to see the funny side of what is one of the most devastating design failures of the digital era is understandable. But by issuing cease and desist orders, Samsung is failing to appreciate the way the internet works. What the modders had done is textbook parody, and it’s one of the things that makes the internet go round. From satirical stalwarts such as The Onion to the rather more hit-and-miss Reddit, brands and those in power just have to get used to it. Donald Trump probably isn’t a fan of the Twitter account that pitches him as a Dungeons and Dragons gamesmaster, but it is one of the few things that he hasn’t threatened to eliminate or build a wall around. When UK supermarkets were rocked by the horsemeat scandal in 2013, the internet wasn’t exactly shy about poking fun. But Tesco didn’t threaten legal action against the likes of the Daily Mash for send-ups like this one. Instead, it quickly set up a new website outlining its response to the ongoing situation. It was a clear, transparent approach, which saw the retailer top a poll in which the British public chose the brand they thought had best responded to hostile news stories that year. It was a well-executed digital solution to something that was, at least in part, a digital problem. And the satire bandwagon can roll both ways, too. Don’t forget that Tesco is the brand that was hailed as having "won social media" (while generating over 26,000 engagements) for its pricking of the pomposity of Canadian rapper Drake with a light-hearted gag about filled flatbreads. In a rather po-faced piece in The Guardian this week on the death of good TV satire, a series of writers put the phenomenon down, at least in part, to a rise in political correctness fuelled by the internet. According to former The Thick Of It writer Ian Martin: "It’s the great hate shift of early 21st century civilisation. Righteous anger has tipped over online into righteous hatred and it’s poisoned everything. Maybe that’s OK, you know? Victimhood is a legitimate response to targeted abuse. And the internet’s full of wankers." And, yes, there’s certainly some truth in that, but it’s ironic that the enabler of that outrage is also the medium that has democratised satire – allowing professionals, punters and brands alike to have a crack at using humour to take the powerful down a peg or two. Former Spitting Image writer Jon O’Farrell complains: "We’re due a satire boom. We’ve got a right-wing government doing these appalling things; it’s time for satirists to gather under the flag." The thing is, they’re already there – in your Twitter feed and Facebook timeline. Time to get over it. Alistair Strayton is content strategist at Zone.